We thank our wonderful musicians who play organ and piano for our many services at St. John’s throughout the year. We appreciate their time and effort to assist us in our worship of Jesus our Savior. They also contribute their time and talents to play for special services like funerals and weddings. 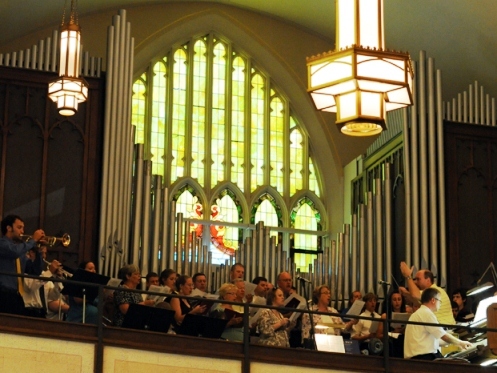 Our organists/pianists are: Bethany Babinec, Randy Bode, Becky Fischer, Louise Wendland, and Mary Warnecke. We are grateful to God for the many years of service to our worship provided by Arlyn Boll, who was called to his eternal rest the day before Palm Sunday, 2016, just three days after playing for our last midweek Lenten service of the year. To God alone be the glory!